Your contribution matters! 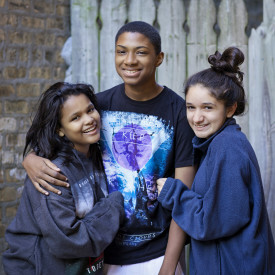 Your donation will ensure that Family Matters can continue to provide enriching programing to Chicago youth, allowing them to dream of their futures, believe in their abilities, and grow into the people they envision themselves to be. If you would like to give via your Donor-Advised Fund (DAF) please click here. Family Matters’ EIN# is 36-3588490. Yes, you can quote me! Yes, I'd like to cover the processing fee so that 100% of my donation goes to Family Matters. Yes! You may send me your bi-monthly e-newsletter.